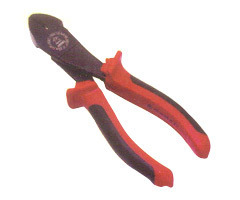 We have with us extensive experience in successfully meeting up with the demands of Heavy Duty Diagonal Cutting Nippers. These are made available by us with insulated handle and are offered in two model options. The models include HO-536M in length of 150mm (6") and HO-538M in lengths of 200mm (8").